School’s out for summer! Many summer reading lists combine nonfiction and fiction reading recommendations. It was exciting to see Steve Sheinkin’s Bomb: The Race to Build, another INK contributor, on the list from my son’s English teacher. Since summer’s here and it’s time to play, I thought that it would be fun to add other senses to the mix and a little play. A few years ago I taught a class at the Games for Education Conference at the Chicago Toy and Game fair. The class was titled Play and Creativity in the Classroom. 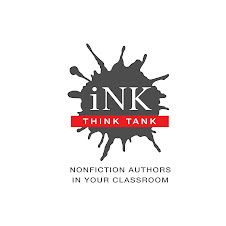 Here’s what I wrote about the class on the INK blog titled Play in Classroom with several nonfiction book recommendations. Why not add a little kinetic learning to the summer reading schedule? A teacher friend is taking her children on an extended vacation to New England this summer. They are reading fiction and nonfiction books in preparation. When she mentioned that they were creating KWL charts to go along with the reading, I was curious. Many teachers reading this will know about KWL charts, but my friend explained, “It is a 3 column chart- list what they KNOW, list what the WANT to know, and then after reading list what they LEARNED. It is a great way to assess prior misconceptions as well as knowledge, see if they learned anything from their reading, and can be a basis for further research for unanswered questions.” Here’s a link that explains how to make KWLcharts. Kind of wish I had made a KWL chart before our recent London and Paris trip. After we were back home, while recuperating from jetlag, I tried to remember what my preconceived impressions of Paris were. For example, my mind had a different vision of what Notre Dame was like. Being there right in front of Notre Dame was rather surreal. Everywhere we went on our vacation, I would point out what we were seeing to my children. I think they became a little tired of me by the end of our trip. Last Christmas, I bought the family a puzzle of the London Underground and a puzzle of a map of Paris. I do this because of my childhood. Growing up, we would go almost every other summer to Germany for a month to visit Oma. Most of what I remember was my little brother and I creating a dividing line in the back seat of my uncle’s Mercedes and constantly tapping my mom on the arm while she spoke in German to all my relatives. We went to some cool places, but I have no idea where I was, why the place was significant, or how it related to European history. Here’s a few nonfiction and fiction reading ideas for the summer with some added senses, kinetic learning, and play. Watch a baseball game or go to a game. This list is just a jumping off point to get everyone thinking about all the possibilities. I had to stop somewhere or I’d be still writing this blog post. Please add your recommendations to the comments and I’ll add it to the list. On my website, I will add a hand-out form when I’m done compiling. Here’s to a happy summer with lots of reading and playing. Network, v. intr. Orig. U.S.